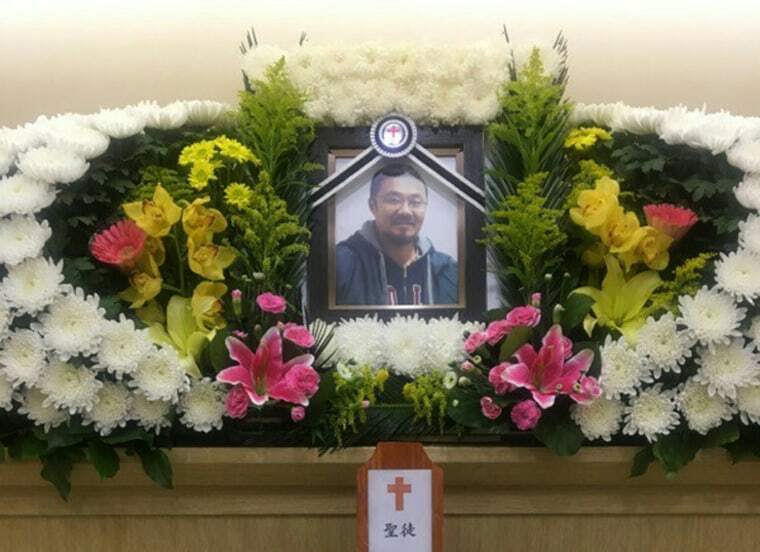 A man born in South Korea and adopted as a child by an American family — only to be deported to his country of birth because of a criminal record — apparently took his own life late last month in a case that advocates say could have been avoided. Phillip Clay was born one Kim Sang-pil on Dec. 30, 1974, and grew up in an orphanage in Seoul, according to Korea Adoption Services (KAS), an adoptee support group that works with South Korea's Ministry of Health and Welfare. He lived a life in limbo, one of thousands of international adoptees who’d been taken in by American families but never received U.S. citizenship. That and what U.S. immigration officials called a “lengthy criminal history” eventually caught up with Clay, a combination that sent him back to his birthplace as an adult. "He was adopted to [the] US in 1983 and lived there for about 30 years as [an] American," Hellen Ko of KAS told NBC News in an email. "He grew up as American person, and he might believe he is American, but at one moment his identity was denied and he lost all this life in the States. He lost his beloved family, friends and everything." On May 21, Clay’s life ended in the very country where it began. He was 42. While South Korean police officials were still awaiting the results of an autopsy, spokesperson Yoo Choon Sik told NBC News they assume the cause of death was suicide. Immigration and Customs Enforcement (ICE) told NBC News that Clay entered the U.S. lawfully. But he accumulated “a lengthy criminal history dating back nearly two decades — the most serious of which included criminal convictions for robbery and multiple theft and drug related offenses." Clay came to the U.S. in 1983, adopted by a family in Pennsylvania as one of the more than 107,000 Koreans into American homes after 1953, according to The Donaldson Adoption Institute. Ko said Clay never became a naturalized citizen because his adoptive parents did not apply for his citizenship. The Clays could not immediately be reached for comment. A judge ordered Clay removed, sending him back to South Korea in 2012, ICE said. Ko said that Clay had been homeless his first few months in Korea. He bounced between shelters and mental intuitions and suffered from alcoholism and substance abuse, she added. Clay later spent a little more than a year with other deported adoptees in housing provided by Ko’s group. Then Clay wound up in jail. He served two years behind bars for assault before being released on Dec. 4, 2016, according to Ko. After that, Clay stayed for a period in a rehabilitation facility and then a center run by Holt International, a faith-based organization that arranges adoptions, Ko said. Korea Adoption Services provided him clothes and a living allowance and arranged a consultation with a psychiatrist, she said. Holt also gave Clay food and a living allowance, Ko added. Unable to speak Korean, Clay faced difficulty managing his day-to-day life, communicating with others, and finding work, Ko said. He also encountered financial troubles, she added. About a month before he died, Clay had moved into a studio by himself, Ko said. Holt International organized a Christian funeral service last Wednesday for Clay at a hospital in Ilsan, South Korea. Some 50 people turned out to pay their respects, including adoptees, Ko said. Clay’s adoptive parents were informed of his death, according to Ko, but did not attend the services. They entrusted Holt with planning the funeral, Ko said. “While there are many issues that make Phillip’s death especially heartbreaking, we want to remind the adoptee community that we are here for you, and our post adoption services can provide emotional support and connect you with mental health resources,” Holt International said in a statement. Clay’s story serves as a reminder of the risks and challenges faced by international adoptees who are raised on American soil but are not American citizens, advocates say. It has also sparked sadness and anger among members of the Korean-American adoptee community who feel his death could have been avoided. Emily Kessel, of the Adoptee Rights Campaign, said passing a law to prevent adoptees like Clay from being uprooted and deported is key to stopping this from happening again. The Adoptee Rights Campaign has estimated that there are about 35,000 international adoptees in the U.S. who are not citizens. Just how many have been deported over the years is unknown. One recent case widely reported on involved an adoptee named Adam Crapser. After nearly four decades of living in the U.S., 41-year-old Crapser returned to South Korea in November, the result of a deportation also stemming from criminal convictions. Never naturalized as a U.S. citizen, Crapser was abandoned by one adoptive family and abused by another, he has said. He was just 3 when he left South Korea. Deportation cases like Crapser’s have spurred adoptee advocates to fight for changes to a law called the Child Citizenship Act. That law automatically grants U.S. citizenship to minor children adopted by American parents, but excludes those who were already adults like Clay and Crapser when it took effect in February 2001. Federal legislators have introduced measures to end that exception. One brought before the House of Representatives last year would’ve given citizenship to anyone adopted before turning 18, regardless of how long ago the adoption went through. That bill, known as the Adoptee Citizenship Act, died in Congress while Clay, thousands of miles away, struggled to rebuild a life for himself in his native South Korea. His body cremated, Clay’s remains were brought to a memorial park in Goyangsi, not too far from the orphanage Clay left in the early 1980s to begin his new life in America. Stella Kim reported from Seoul, South Korea.